Civil engineers in the 21st century will play a critical role in its planning, design, construction, operation, maintenance, systems, and networks in cities around the globe. As the world community faces the challenges of a changing climate, innovations by engineers in the coming decades will be required to design and operate infrastructure that can ensure efficient energy conversion and conservation and adapt to the changing climate. Engineers will provide resilient solutions to the production, storage, and distribution of energy, food, and water – all the things necessary to sustain life in the future. To achieve these goals, ASCE served as one of the sponsors of the inaugural World Engineers Summit (WES) 2013, September 9-15, which was held in conjunction with the World Federation of Engineering Organizations (WFEO) General Assembly. With the theme “Innovative and Sustainable Solutions to Climate Change,” the goal of the summit, held in Singapore, was to allow engineers from multidiscipline specialties to congregate and share innovative and eco-friendly solutions and best practices drawn from around the world. A contingent of 8 ASCE members played a prominent role in the summit; these were J. P. Mohsen, Ph.D., M.ASCE, ASCE’s lead representative on WFEO matters; Vilas Mujumdar, D.P.A., P.E., Dist.M.ASCE, WFEO national member; William P. Henry, P.E., D.WRE, Pres.05.ASCE, member of the WFEO Anti-Corruption Committee; Kate Johnson, A.M.ASCE, vice-chair of the WFEO Younger Engineers / Future Leaders Committee; Guna Gunalan, Ph.D., P.E., F.ASCE, member of the WFEO Anti-Corruption Committee; Reginald Vachon, Ph.D., P.E., F.ASCE, chair of the American Association of Engineering Society’s (AAES) International Activities Committee; John Crittenden, P.E., M.ASCE, member of ASCE’s Committee on Sustainability; and Michael R. Sanio, M.ASCE, CAE, ASCE’s director of Sustainability and International Alliances. The centerpiece of the WES was the signing of the Singapore Declaration by WFEO President Marwan Abdelhamid and by the Institute of Engineers, Singapore, President Chou Siaw Kiang. The Declaration, which ASCE played a major role in writing, is a document committing WFEO membership – including ASCE through AAES – to address the global challenges of sustainable development arising from the impact of a changing climate. It stated that “society needs the skills of engineers to attain sustainable development, yet engineers must proactively engage with the global political process to apply their knowledge and expertise…. Engineers must develop new skills for a changing world, foster greater collaboration with other professionals, and promote multidisciplinary approaches. 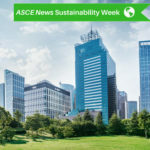 “It’s important for ASCE to participate in these international conferences for two primary reasons,” explained Sanio, who moderated a session entitled Sustainable and Innovation Development. “Number one, to be aware of [sustainable] developments that occur elsewhere in the world. Singapore is clearly a leader in sustainability and, being an island nation, has had to address climate change directly in any development and redevelopment plans. Because of that, there is an awful lot that we in the US can learn. One of the many highlights of the WES was a keynote session presented by Past ASCE President William P. Henry, entitled “Trends in Corruption in the Global Engineering/Construction Industry 2000-2009.” Henry outlined how through the first decade of the century ASCE has been a leader in the effort to address corruption in the engineering/construction industry. 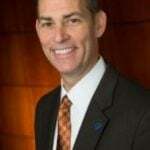 In 2011 ASCE commissioned a research project to determine if all the activities by industry members were having their desired result, and Henry shared with the audience several key points from that study. Sanio says that ASCE’s participation in this summit in Singapore is part of a broader goal of involvement with other international organizations to recognize that sustainable development can only come about through the adoption of environmentally friendly solutions that will meet the needs of the present without compromising the requirements of the future. Recent involvement with the WFEO, the Pan American Federation of Engineering Societies (UPADI), the Asian Civil Engineering Coordinating Council (ACECC), the United Nations Educational, Scientific and Cultural Organization (UNESCO), and the Triennial Conference 2012 among ASCE, the Institute of Civil Engineering (ICE-UK), and the Canadian Society for Civil Engineering (CSCE) are all examples of engineering organizations committed to working together to deliver a sustainable infrastructure in the future. To create closer future ties to the WFEO, Mohsen is developing a strategic plan to guide the Society’s participation in WFEO through the AAES International Activities Committee’s WFEO Task Group. Under the auspices of the WFEO Task Group, this plan defines specifically how ASCE will jointly plan, support, and participate in WFEO activities over the period beginning January 1, 2012, and ending December 31, 2014.